Now with the season-opening Australian Grand Prix almost upon us there are plenty of F1 season previews around. And Talking about F1 is not one to be left out. 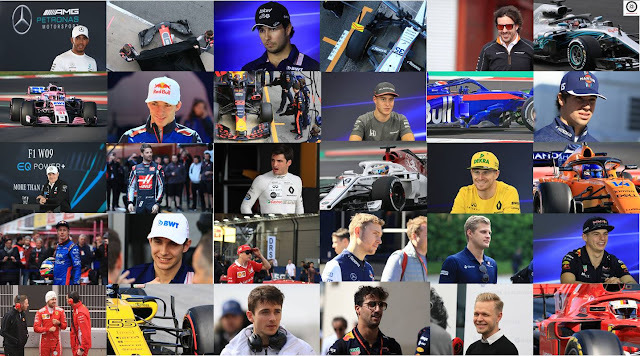 You will have noticed that over the last week or so I have written a preview for all ten competing F1 teams in 2018 and their drivers. All of the previews are now collated in one place - by clicking on the '2018 Team and Driver Guide' tab above you can explore my view on the prospects of every driver and team on this season's grid. Looks like Haas will do better this year. Their best time in testing adjusted for tires is very good. No crashes at the start is most important. Yes, Haas looked really quick in pre-season, maybe even best outside of the Merc/Ferrari/Red Bull 'big three'. It'll be fascinating to see if they can keep that up!